Gold futures remained in red territory in Asian trade on Friday despite a suspected terrorist attack increased speculation over the upcoming French presidential election this weekend. On the Comex division of the New York Mercantile Exchange, gold for June delivery was down 0.26 percent to trade at $1280.40 a troy ounce as of 07:15 GMT. Bullion prices settled slightly higher on Thursday as investors flew into safe-haven assets ahead of the presidential elections and as downbeat economic data weighed on sentiment. According to the US Labor Department, initial jobless claims rose by 10,000 in the week ended April 15, leaving the total count at 244,000, above analysts’ forecast. Other economic news included the Philly Fed manufacturing index, which came in at 22.0 against expectations for 25.0 from a previous reading of 32.8 in March. Trading activity is expected to remain low as market participants adopt a wait-and-see positioning ahead of the first round of the elections in France. So far, far-right candidate Marine Le Pen and far-left candidate Jean-Luc Melenchon are both seen as threats for the future of the European Union, posing anti-community measures such as leaving the bloc, cutting immigration or establishing an independent currency. A survey conducted by Elabe before yesterday’s shooting in Paris showed centrist Emmanuel Macron on top and Marine Le Pen falling behind him. However, the survey doesn’t represent the current intention as a terrorist attack usually promotes conservative views among voters. Oil prices edged higher in early trading hours on Friday as market players prepared for Baker Hughes oil rig count later in the day, while keeping an eye on the French presidential elections and a meeting of OPEC representatives to discuss the future of crude oil production. US West Texas Intermediate oil futures traded at $50.77 a barrel on the New York Mercantile Exchange, up 0.12 percent from its prior settlement. The international Brent crude oil futures soared 0.09 percent to trade at $53.04 a barrel as of 07:15 GMT. On Thursday, fears that a growing US oil production will derail OPEC-led efforts to rebalance global supply levels weighed on market sentiment and pushed down benchmarks. Quotes settled lower despite positive remarks from Saudi Arabia and Kuwait regarding a possible extension of the output cuts agreement. Saudi Energy Minister Khalid al-Falih reassured that “there is consensus building” on the matter, but recognized that there is still work to be done to get full support from OPEC members. OPEC leaders will gather in Vienna on May 25 to take a final decision on whether extend or not the output cuts for another six months starting from June. 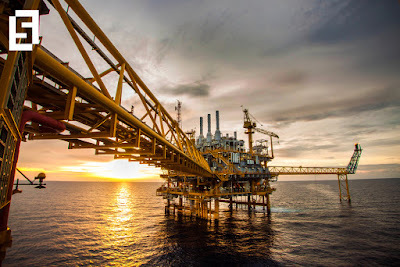 Earlier this week, the US Energy Information Administration reported a crude stockpiles reduction of 1.034 million barrels for the week ended April 12, less than initially forecasted. Gasoline stockpiles took players by surprise rising 1.542 million barrels, although expectation pointed at a 1.938 million barrels drawdown in light of the summer driving season. Oilfield services Baker Hughes will release its weekly rig count for the United States at 17:00 GMT. Last week’s report showed that US shale producers added eleven platforms, sending the total count to a record high of 683 units.